Flying Horse Ltd - Never Stop Learning! 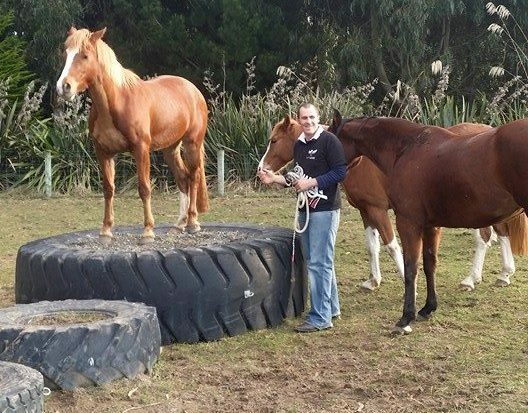 So you have the horse of your dreams and now you need a trainer to help you on your way. You ask around and start having lessons. The first few months are pretty good and you are enthusiastic and motivated. You are doing really well at training level and are getting consistent scores of 60% or more. This dressage stuff is fun! But then just as you feel you are getting somewhere your trainer says that you need another season consolidating the basics. You aren’t ready to step up and try new stuff and you must listen to them as they are infinitely wiser and more experienced than you. So you do as they say and stay at training level for another season. You keep working on a circle at trot. You bore your horse to death and lose all your love of riding. So who is benefiting from this? You or your trainer? My aim as a trainer is to have my students surpass me. I want them to do well and succeed. If that means they beat me in a competition well that’s fantastic! And if it means they go to my trainer as well as me then that’s proof that I can train them correctly. You don’t get better by doing the same thing. You get better by having a correct training plan that challenges you and your horse appropriate to your stage of training. You need to be stimulated and pushed out of your comfort zone a little bit. Your horse needs work that supples his body and keeps his mind engaged. You want to have that buzz of learning a new movement or the satisfaction of refining your aids and feeling at ease with your horse.